Our health is unquestionably linked to the health of our natural environment. Throughout America’s history, the health of the poorest minority communities has disproportionately been affected by pollution and the poisoning of our land. In honor of Black History Month, Sycamore would like to show its appreciation for the great individuals who have stood up to these environmental challenges in the name of social, racial, and environmental justice. Following an oil tanker collision and oil spill in San Francisco Bay in 1971, John Francis decided to commit himself to protecting the planet. He stopped using motorized vehicles and walked literally everywhere. For 17 years he took a vow of silence in order to listen better to those he did not agree with. During his time walking around the country, he earned a PhD in environmental studies, founded the nonprofit organization Planetwalk, and ultimately ended his silence working for the US Coast Guard Oil Pollution Act. Today, he continues his “walks” to further his goal of uniting people to protect the environment. Take a look at his 2008 TED talk where he tells his amazing story! Hazel M. Johnson was an environmental activist who fought against injustices like asbestos, water contamination, and air pollution in the south side of Chicago. She was a resident of the Altgeld Gardens housing project and began protesting the conditions there when her husband died of lung cancer in 1969. She began documenting the illnesses she saw in her neighborhood and rallied against the local housing authorities to fix issues like asbestos and clean drinking water in poor Chicago neighborhoods. 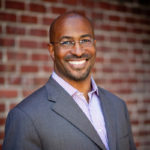 Van Jones authored The Green Collar Economy (2008) and Rebuild the Dream (2012). He was the green jobs advisor to Obama helping push the Green Jobs Act, legislation aimed at developing green jobs and a more environmentally friendly economy. He is dedicated to solving problems related to environmental justice and social justice in America’s urban landscapes. Take a look at his TED Talk where he speaks on the economic injustice of plastic. 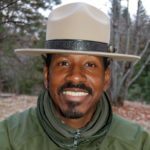 Shelton Johnson is a park ranger at Yosemite National Park and grew up in inner-city Detroit. He tells the story of the Buffalo Soldiers of Yosemite whose legacy began before the creation of the park. They were black cavalry regiments who were responsible for keeping order on the western front and protecting settlers. At Yosemite, they dealt with wildfires and poachers, and helped maintain the park’s infrastructure. He speaks to kids throughout the United States on the importance of the natural environment and our role and legacy in protecting it. In this TED Talk, urban gardener Ron Finley talks about how he plants gardens on sidewalk lawns and empty lots in South Los Angeles, a struggling community. Majora Carter of South Bronx, today a leader in environmental justice, tells the story of her struggle to revitalize the urban community that is hit hard by unfair urban planning decisions.